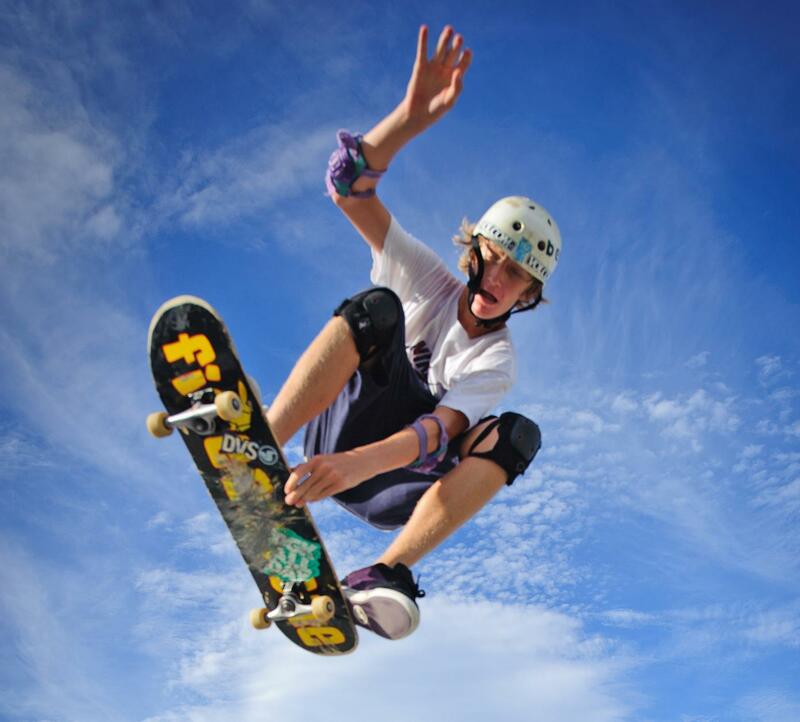 Within Martin County Parks and Recreation, there are four skate parks available for the public to use and are open to all ages. These skate parks are located at Jock Leighton Park, Mary Brogan Park, Post Family Park and Langford Park (Pat Mark Rio-Jensen Skate Park). Please see below for park hours and for more information. The Pat Mark Rio-Jensen Skate Park at Langford Park in Jensen Beach is most certainly the most unique out of the four parks. This park offers concrete bowls with ramps on the inner surface and a street course with all the necessities that skaters are looking for to perform their next run. Skaters and parents also enjoy the comfort of having a full time staff member on duty during skate park hours. *Skate Cards are required at all locations. Hours: Sunrise to 9 p.m.
Monday through Thursday : 4 to 8 p.m.
Friday: 4 to 9 p.m.
Saturday: 12 to 9 p.m.
Monday through Thursday: 12 to 8 p.m.
Friday: 12 to 9 p.m.
Skate cards are required at all skate park locations, cost $20. Skate cards are available for purchase Monday through Friday 8 a.m. to 5 p.m. at the Vince Bocchino Community Center at Langford Park (2369 NE Dixie Highway in Jensen Beach), or at Indian RiverSide Park (1707 NE Indian River Drive in Jensen Beach), and/or at the Parks and Recreation office located in the Martin County Administration Building (2401 SE Monterey Road in Stuart). You can also request a skate card by selecting the "Request a Skate Card" button. Please include your contact information. For more information, please call (772) 334-1954.